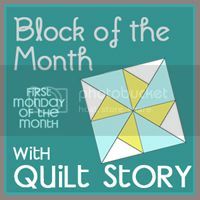 How was that for an unplanned blog break? I've been swamped behind the scenes with a renovation that took longer than expected. 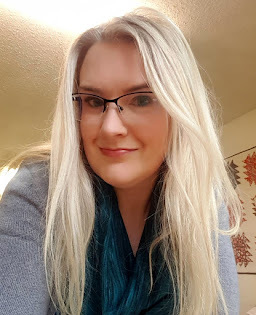 But don't they always? 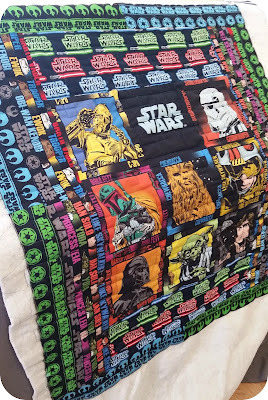 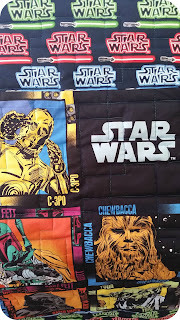 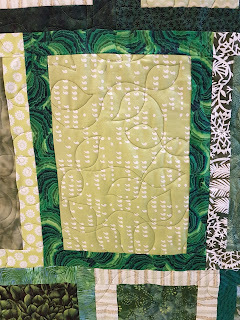 So not a lot of sewing going on but I do have a bunch of fantastic quilts to show you. 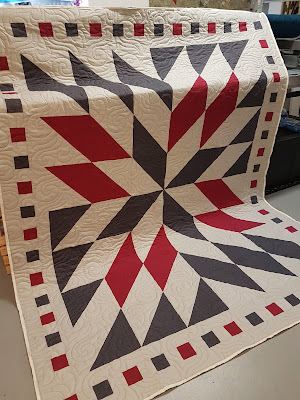 Love this one by BettyAnn. I actually sold her the book this pattern was in, that was how we met. 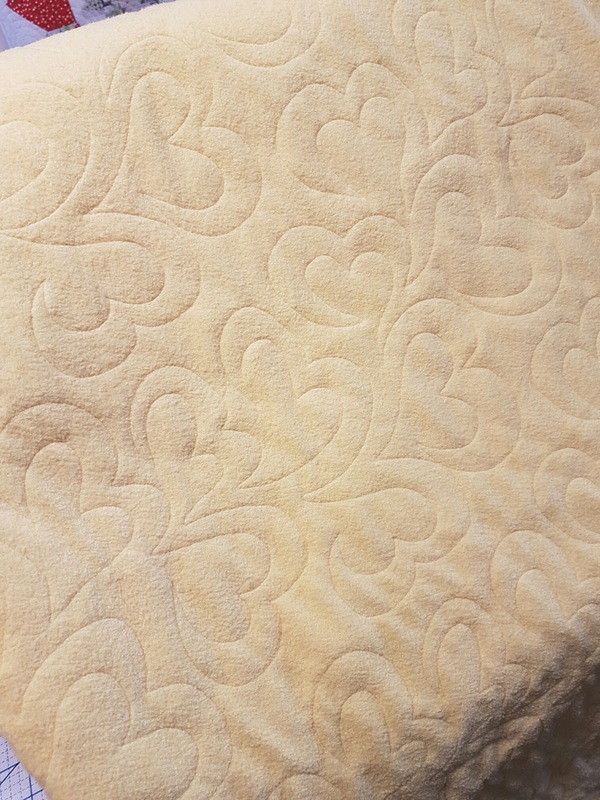 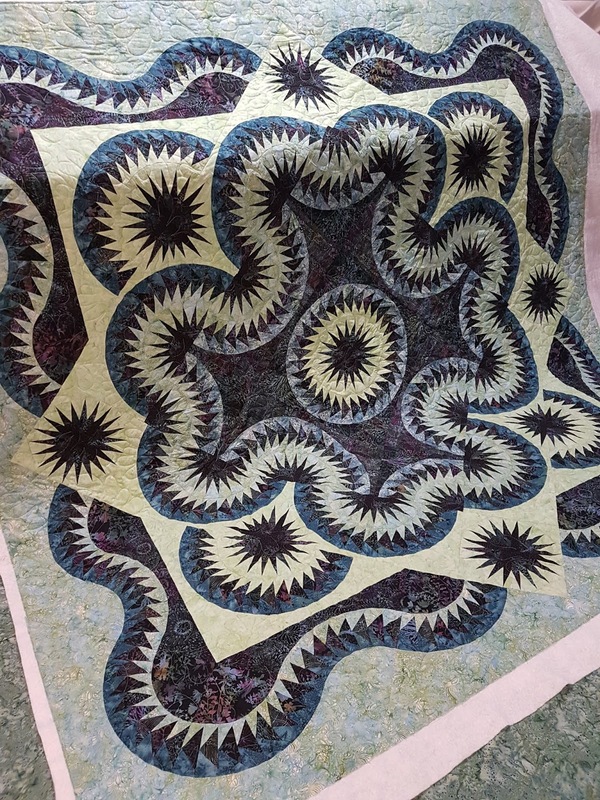 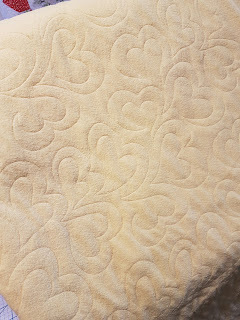 The entire middle is appliqued on. 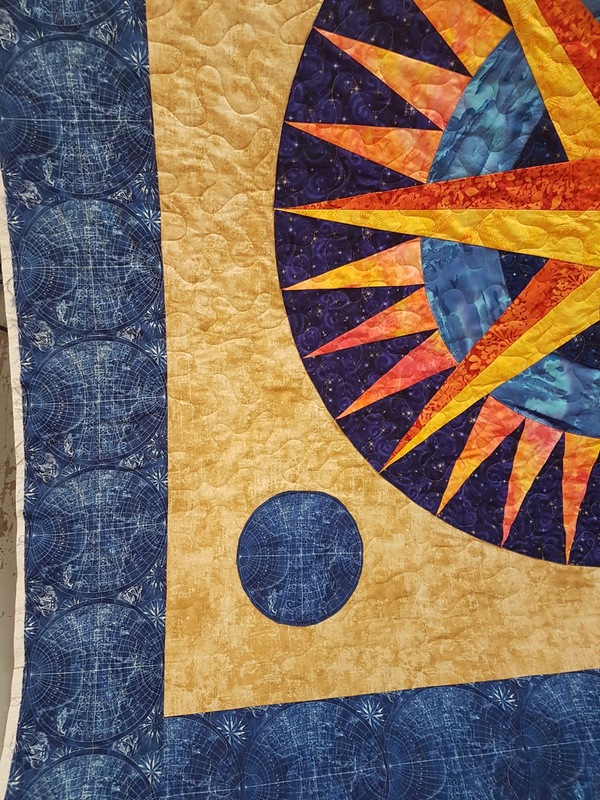 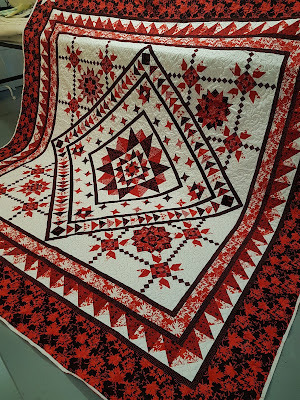 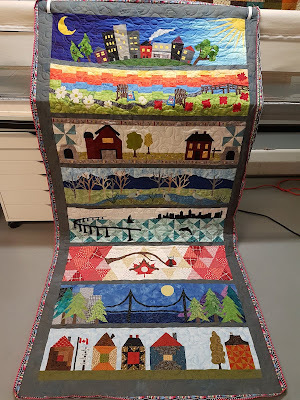 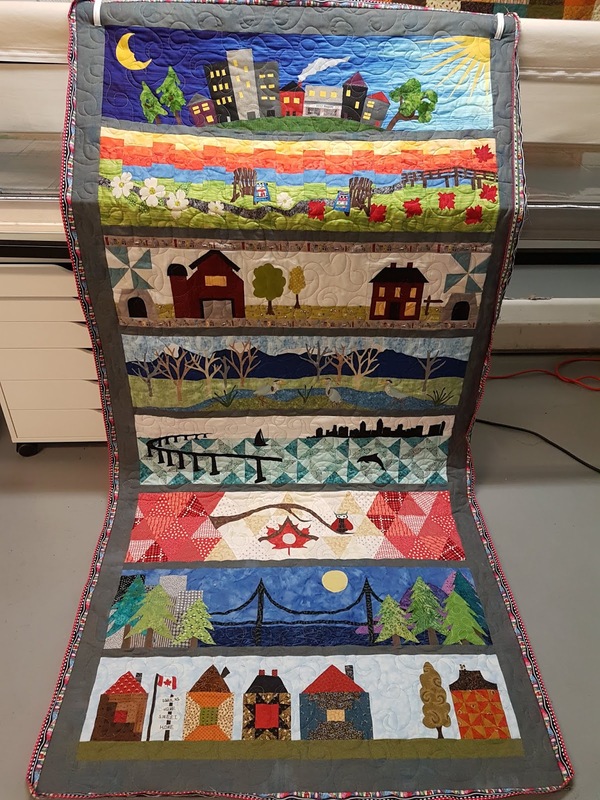 This stunning Canada150 quilt by Nicole. 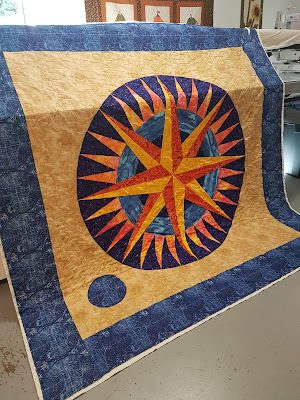 I have such talented clients! 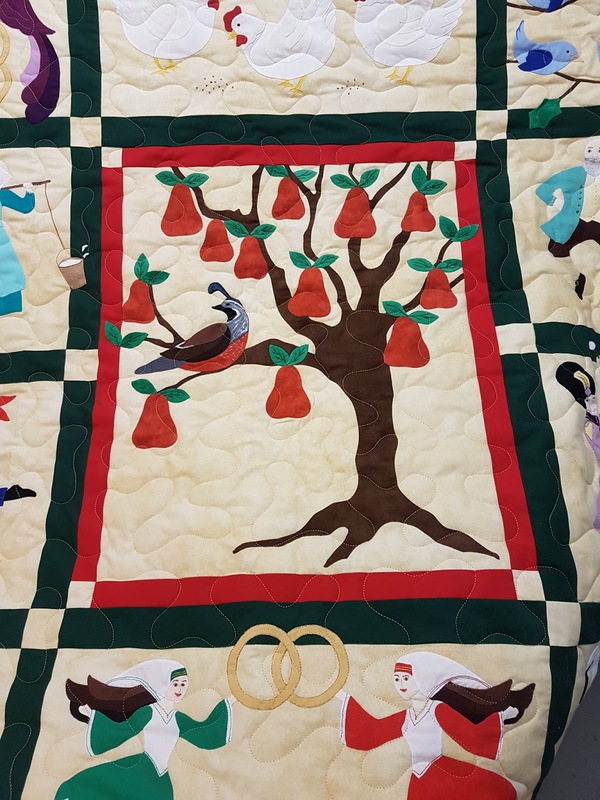 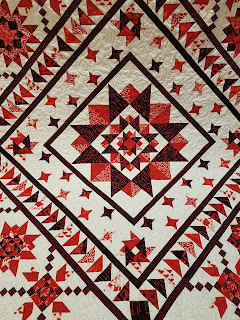 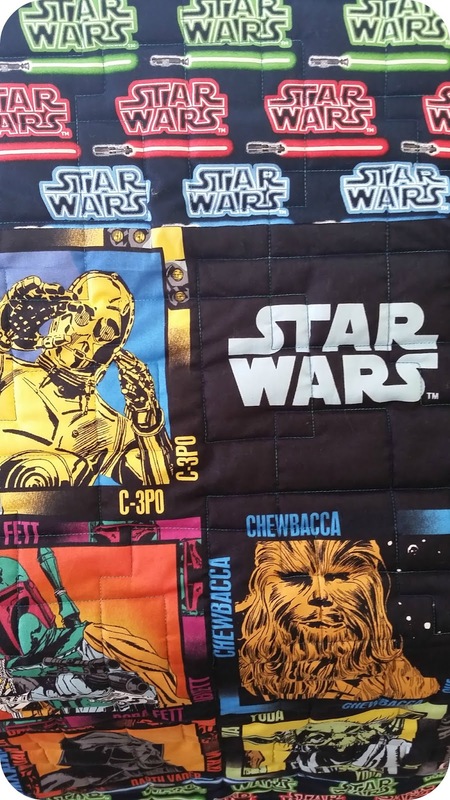 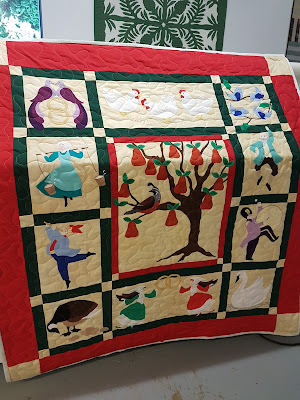 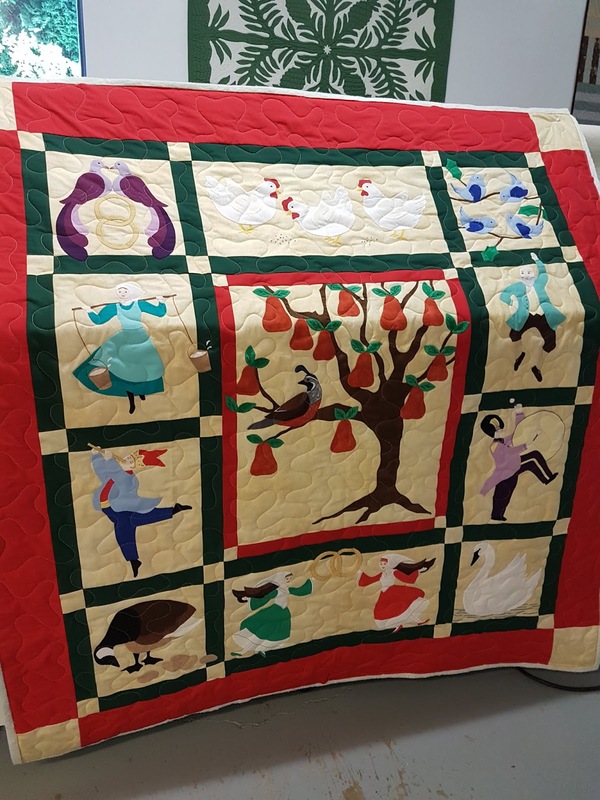 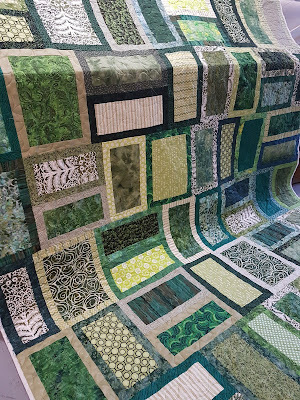 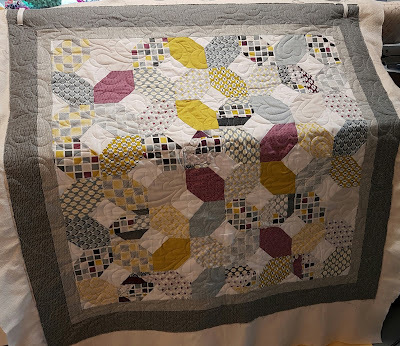 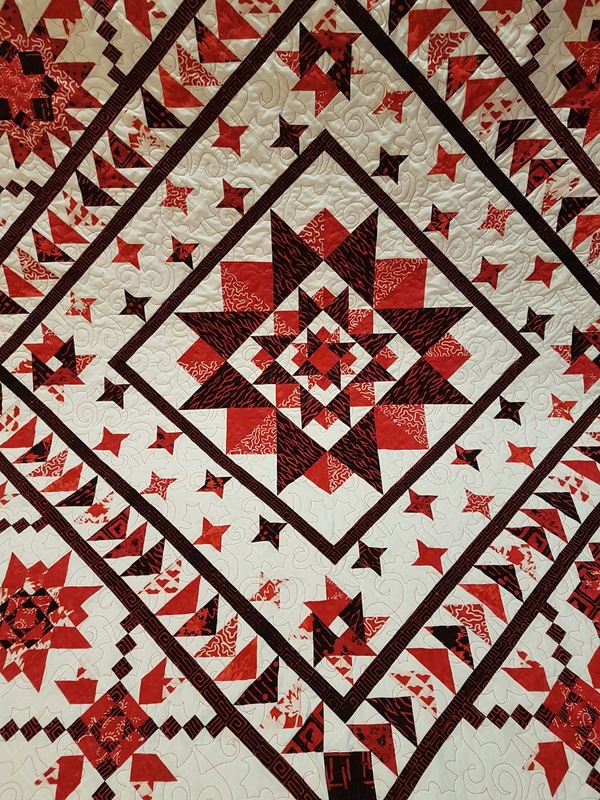 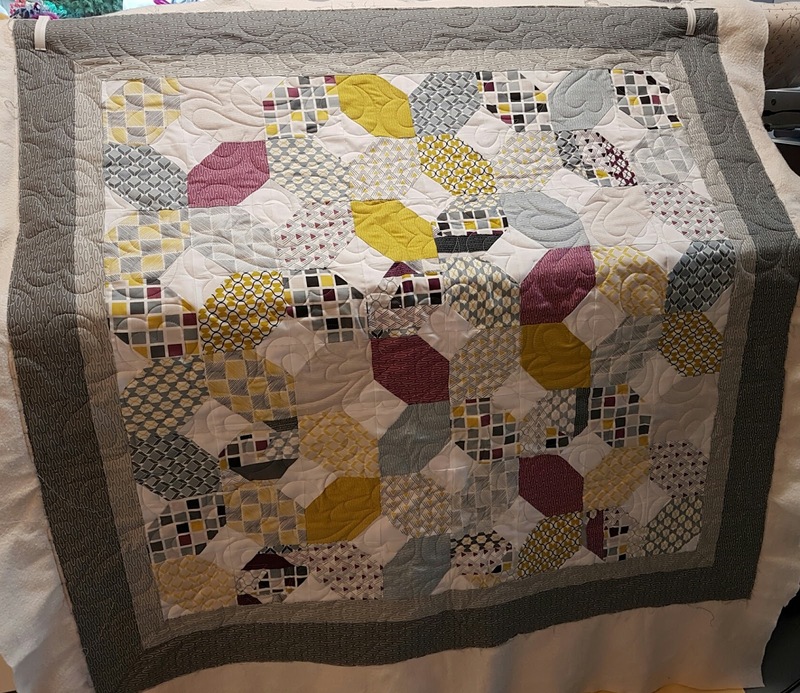 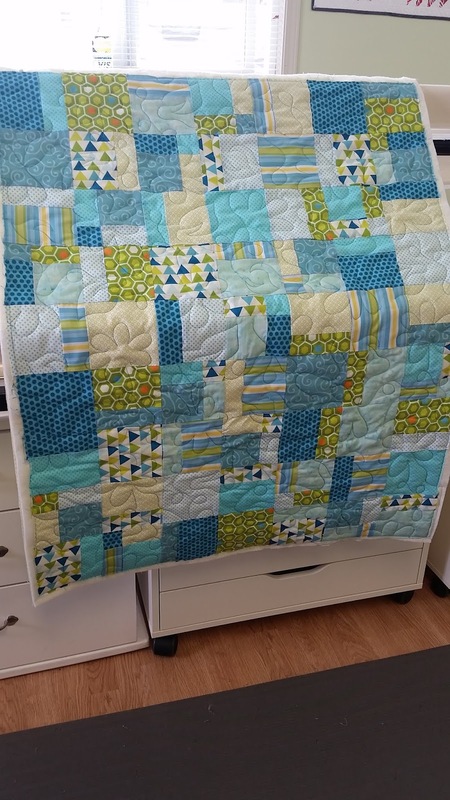 This adorable baby quilt by Marion.